It’s late at night and it’s dark outside. The rain’s coming down hard so you can barely see the road ahead. Suddenly, you hear the horrifying sound of the engine starting to choke. You urge your car to keep going, but in a matter of seconds, you find yourself at the side of the road with a dead-still vehicle, and with no one around to help and no one to call. Anyone who’s ever got stuck with their car on the side of the road, and who isn’t a mechanic, had felt that helpless feeling, when you have no idea what is wrong with your car or how to get it going again. In case your car decides to act up after hours, that’s even worse, because you’ll have to look for someone who provides service beyond regular office hours and to hope the price won’t be outrageous. In situations like this you’d be grateful for having someone like Sheridan Bros Towing by your side – a licensed, certified, and bonded towing company, offering a variety of emergency towing and roadside assistance services. Since no one can predict when they’ll need roadside services, we offer service around the clock, so you can call us 24/7 in case you need roadside assistance or emergency towing anywhere in Oklahoma. More than that, sitting there by the side of the road – we won’t leave you high and dry, we are committed to offering affordable prices and we never charge extra for an after-hours call. Our team has plenty of experience when it comes to malfunctioning cars, so in case it is possible to fix the problem by the side of the road, consider it done. 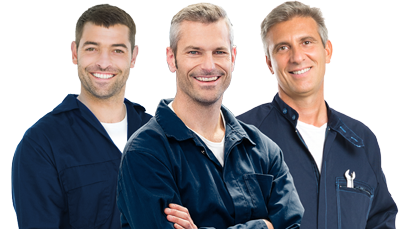 Our team can easily solve various troubles you might have with your car; whether you forgot to fuel on time, got locked outside of your car, need to change a flat tire, or even need a simple jumpstart. Why it’s Important to Get Service from a Licensed Company? When working with a company that is legally certified, you can be rest assured you and your car are in good hands. Furthermore, you know that professionals are taking care of your car, and that they have both the knowledge and the permits to deal with automotive problems. Sheridan Bros Towing and their network of licensed affiliates are local Oklahoma City company and by being so, we love to have business with the local community and provide dependable services anytime you need it. We take emergency towing very seriously, and that’s why not only can you reach us 24/7, but we also promise to be at your side within really fast time from the moment you place your call. We know that every minute on the road can be dangerous enough, so we want to make sure we’ll get you out of there as soon as possible.